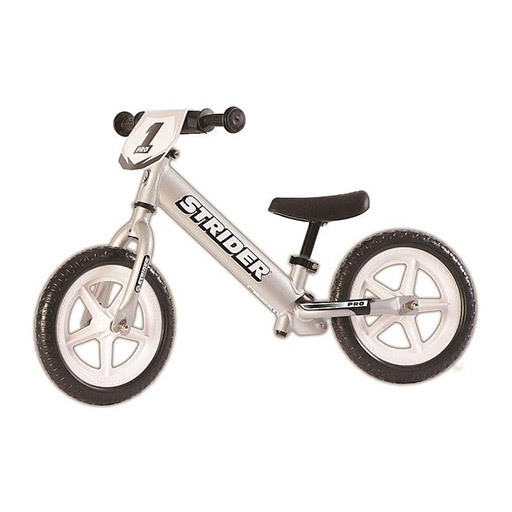 The Strider PRO weighs in at just 2.2kg with its super light and durable powder coated aluminium frame and ultra light wheels, with puncture proof tyres. 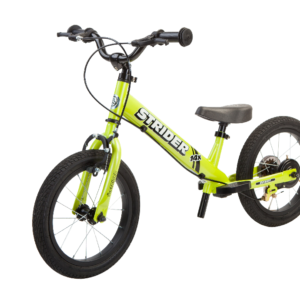 All 12 inch Strider bikes come with 2 seat posts enabling it to boast both the lowest and highest ride hight of any balance bike on the market which will fit children from the age of 1-5 years. Sealed bearings enable riders to tackle any terrain without fear of mecanical faliure. 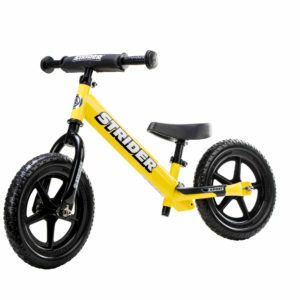 Slim hand bars enable tiny hands to grip the bike effectivly. 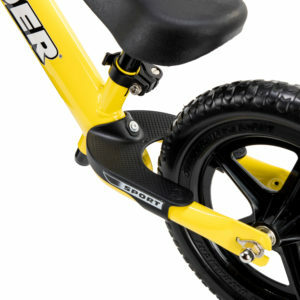 The foot plate enables children to rest their feet and develop the confidence to ride in a standing position. 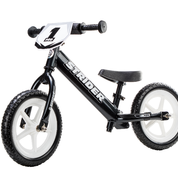 The Strider PRO also comes with a race plate, a must have accessory for any budding racer! 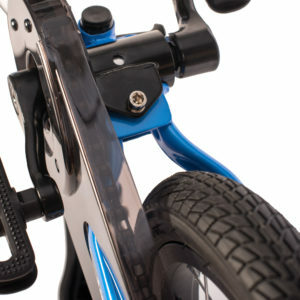 Quick and easy, unrestricted seat and handle bar height adjustment.